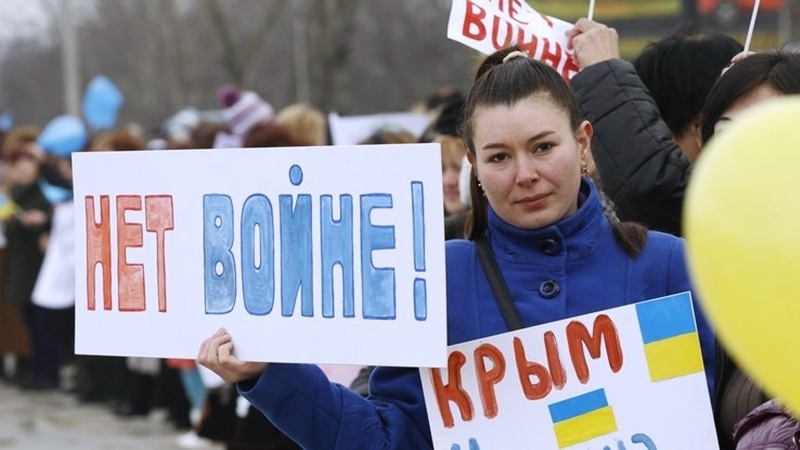 84% of Russians support the annexation of Crimea. The corresponding results were revealed in a poll conducted by the Russian sociological research organization Levada Center in September this year. These results have little difference with the ones of previous years. Thus, in September 2016, 83% of the respondents supported the annexation, while in March 2014, 88% upheld the idea. 63% of respondents see more benefits than harm in the fact of joining the Crimea. The Levada Center also conducted a survey on the issue of Russia's support for the militants of "DPR" and "LPR". 41% of Russians believe that Russia should support the terrorist organizations of “DPR” and “LPR” in the conflict in the east of Ukraine. At the same time, 6% of respondents said that Russia should support Ukraine, and another 37% believe that Russia should not support anyone. “But still 41% of the support to “DPR” and “LPR” is quite a lot, although the Russians have already deterred to the idea of joining Donbas. Interest in the Ukrainian issue is now much less than in 2014-2015,” Stepan Goncharov “Levada center” sociologist noted. The results of the Levada Center poll on the need to support the "DPR" and "LPR" "are quite logical and reflect the real picture, according to Vadym Samodurov, Managing Partner of the Agency for Strategic Communications. The Levada Center conducted a survey on several issues, one of which was "fears of a world war" and "mutual dislike". In September 2017, 42% of respondents noted that they were afraid of the conflict in the east of Ukraine to grow into a war between Moscow and Kyiv, although in July 2016 this number was 40%. As for mutual dislike, according to the results of the survey, Russians’ attitude to Ukraine has improved, however, Ukrainians show less sympathy to Russia than before. In May the percentage of those who treated Ukraine well was 26%, and in September - 32%. The number of Ukrainian to feel good about Russia has decreased since May, from 43% to 37%.